The temperature of a pure substance ﻿changes only﻿ when there is﻿ no change of state﻿. The temperature of a pure substance is a constant when there is a ﻿change in state﻿. The thermal energy absorbed without a change in temperature is called Latent Heat. Why do gases have highest potential energy? 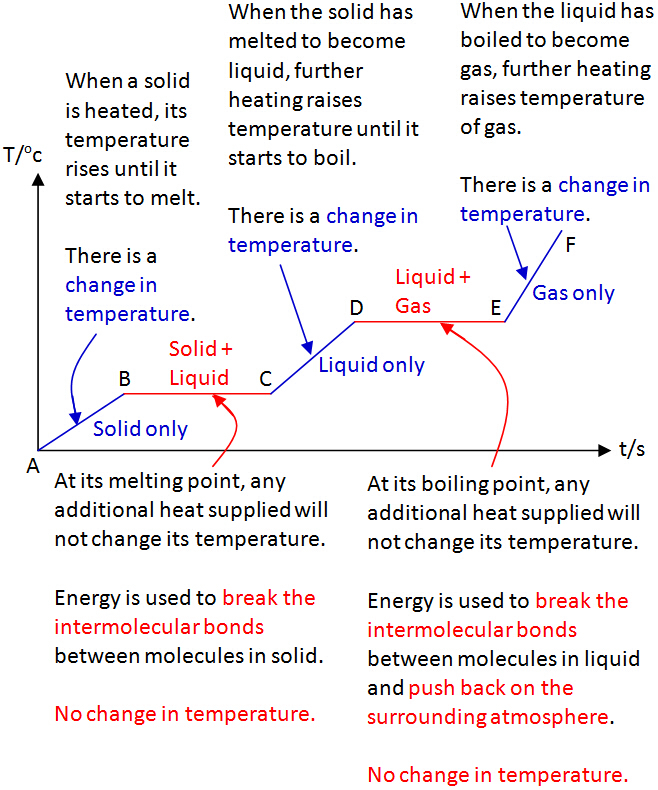 During melting (where solid changes to liquid), heat supplied is converted to potential energy which in turn stored in the liquid. Therefore, liquids have a higher potential energy than solids. Likewise, during boiling, heat supplied is converted to potential energy and stored in the gas, hence, gases have a higher potential energy than liquids.